Integrated with the Intel AMD chipset, the HP 434723-001 motherboard efficiently links all the circuits to the processor. The 2xSATA HDD plug of this HP laptop motherboard allows you to store all your media and data files. You can easily connect various external devices to this HP motherboard through its 2 USB ports. The 1394 FireWire plug of this HP laptop motherboard can connect to other devices and render speedy transfer of data. The HP 434723-001 motherboard supports LAN, which gives you Internet access. Enjoy high-quality video conferencing with the webcam support of this HP motherboard. Produit acheté en remplacement d'une carte hs par pénétration de liquide dans le pc. Je n'ai pas voulu upgradé le pc en installant une autre carte compatible de cette série sachant qu'il y avait des problèmes avec les chipsets graphiques qui chauffaient énormément. De plus ceux-ci sont soudés à la carte. Un bon technicien sachant bricoler pourrait sans doute améliorer le refroidissement et espérer faire durer plus longtemps la vie du circuit graphique mais l'on s'éloignerait probablement du concept portable. Il est donc évident que cette carte est limitée avec un indice graphique de 3,1 sous windows 7 pro mais suffit amplement pour une utilisation bureautique et multimédia de base. Cette carte commence aussi à dater. The motherboard worked fine after installation. It was received as advertised and in good working order. I was replacing a dead motherboard of the same description in my older HP Pavilion Entertainment PC (dv6358se). While not state of the art in terms of speed, it is fast enough for my purposes. I bought this to replace an AMD/NVIDIA board, which had lots of issues (problems with video, no sound, constantly overheating and shutting down, etc). This Intel board is perfect! No issues whatsoever! Bought compatible parts to go with it and had it up and running in about 15 minutes. The fan hardly comes on now, which is a blessing. With the other board, the fan was on high speed all the time, even when nobody was using the laptop. When more thermal compound and replacing the fan didn't help, it was time to replace the motherboard. One of the best items I've bought! Excellent. I am using the product to send this review. 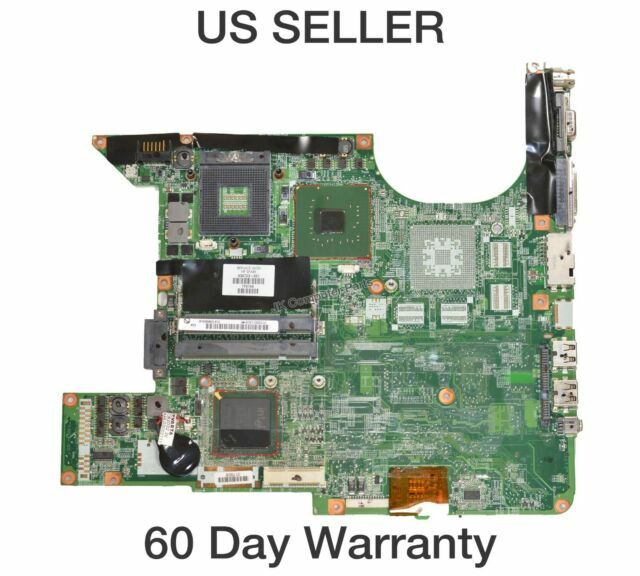 I bought this HP Socket 478 Intel motherboard to actually repair a Compaq Persario V6000 laptop. This repair is for a customer of mine. I believe with this particular motherboard, the chipset over-heats. I bought this one because it was brand new and it was the second motherboard I installed in the laptop. When I received it, it was nicely packaged in a HP box, after I installed it, no problems at all computer booted right up. The price was right, over all pretty happy with the purchase.